Modern aircraft are marvels of design and technology, and they're safer than ever. Millions of Americans enjoy the pleasures of piloting their own planes, usually small. And we understand these pleasures. Our senior partner, Michael Kelly, has been a licensed pilot for decades. However, there are still many dangers associated with these small aircraft, many of which are out of the control of pilots and ground support personnel. A seemingly tiny flaw in the design or manufacture of an airplane can put the lives of every soul on-board in danger. Our aircraft accident lawyers have decades of experience handling these complex, tragic accidents. We help victims and their families pursue the compensation they deserve. If you were hurt in an aircraft accident or if you lost a family member in one of these accidents in the South Bay area of California, please call Kirtland & Packard, LLP today at 310-536-1000 for a free consultation. Pursuing a claim against an airplane manufacturer or some other responsible party as a result of an aircraft accident is more complicated than most people understand. Even the simplest of small, one-person personal aircraft is a complex machine with countless moving parts- which is to say, there are countless possible points of failure. Aside from the mechanical complexities involved with aircraft accidents, there are also statutory concerns. The General Aviation Revitalization Act, passed by Congress in the mid-1990's, imposes limitations on liability for the manufacturers of airplanes and airplane parts. 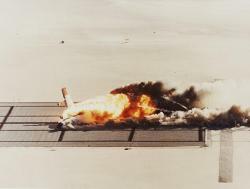 Aircraft accidents are obviously devastating. A catastrophic personal injury is, sadly, just about the best case scenario in many of these crashes. Quite often, we have to represent family members of accident victims in a wrongful death suit. We urge you to contact us as soon as possible if you were hurt in an aircraft accident or if you lost a family member to such an accident. If you're a resident of Redondo Beach, Torrance, South Bay, or a surrounding Los Angeles County communitity and you need an experienced aircraft accident lawyer, please call Kirtland & Packard, LLP today at 310-536-1000 for a free consultation.